I am Ghanaian and I come from Cape Coast, the capital city of the Central Region situated in the southern part of Ghana. 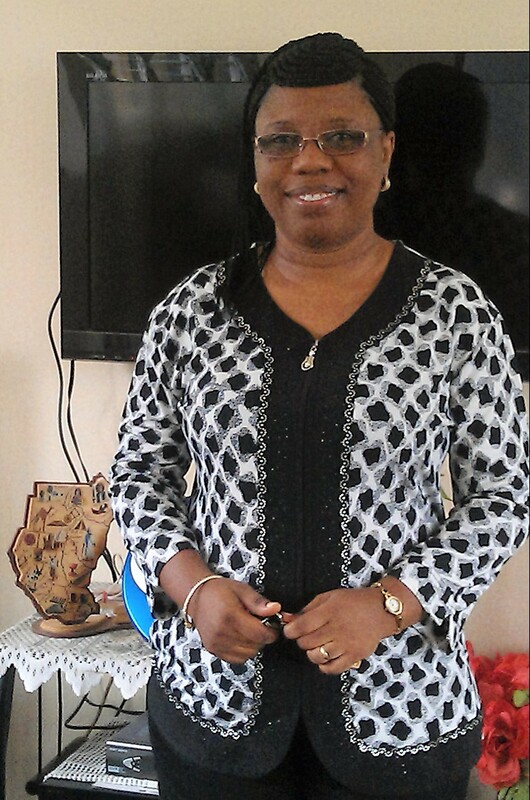 I was born at Obuasi, in the Ashanti region and grew up in different parts of the country due my father’s work. I spent the first 10 years of my life in the Northern region of Ghana and later in the Ashanti and Greater Accra regions. I first studied Ethnomusicology at the University of Ghana. My primary interest is in women’s songs because when I was growing up in different communities in the North and South I observed that men seemed to dominate public life whilst women were mostly found housekeeping, in the marketplace or working on the farm. Yet, in all the places I lived, songs offered women the opportunity to express themselves freely. Q: What is it that all these women express in their songs? childlessness, poverty, war, migration, wealth, etc. almost everything they experience in life. Q: Why did you decided to approach studying women through their songs? convinced ethnomusicology would guide me to discover and understand what women sing about, and the larger impact of what they sing on the larger society in which they live. Also, through the many scholarly writings we reviewed in classes, I realized scholarly writing on women’s songs in Ghana was under researched. As a music lover and student, who had interest in women’s songs since childhood, I felt it necessary to contribute to the few writings on women and music in Ghana. Q: What specific type of song do you study? conducted my first extensive project on traditional female horn blowers’ ensemble music in Cape Coast. The traditional horn is a strictly patriarchal instrument and revered. In the traditional setting, it was and continues to be a taboo for women to touch this iconic instrument. Women are prohibited from touching this horn due to cultural notions that women in their menses are unclean. Since one cannot tell when a woman was in her menses, women were banned from touching the horn. When I learned that a female educational institution had adopted this traditional instrument into their school curriculum, training girls to learn, and perform horn music, I was curious to investigate how, why, what, and where they play this instrument. Q: How were they able to break that barrier and take this gendered instrument into a girl’s school? happen to them because I performed certain rituals to pacify the gods through the chief priest and priestess before permission was granted to adopt the instrument for the girls’ school. The fear that if a woman blows the horn she will not give birth has become a thing of the past.” According to the Headmistress, through constant education on the radio, granting interviews on television sets and running workshops in her school, a contemporary female horn ensemble was instituted in Cape Coast. The women now perform traditional horn songs to address contemporary social issues. AA: Collecting field data on the women’s horn project, I heard about an adult female ensemble akin to a warrior institution in the Fante area. On my initial conversation with the ensemble members, the gist of what they used to do was recounted by Maame Efua, a lead singer of the only surviving “authentic” ensemble was, “when the male warriors (asafo) take a step, we go with them.” She explained that, from pre-colonial days to the present, the wives and daughters of warriors who form this female ensemble known as Bentsir No.1 adzewa, have had a very strong voice in society, specifically in Cape Coast. Their main medium for expression was through “Song.” This was news to me since the scholarly work I read had the perspective that it was only men who had a voice to change things in society. How come these women were daring even to the point of addressing and changing society? Since war is a thing of the past, again I was thinking, what has changed in the performance of adzewa songs since the establishment of the ensemble and the implications of the songs in the larger Fante contemporary society? I am particularly interested in traditional adzewa songs, and their contemporary extensions –the use of spectacle, drama, dance, and music as an integrated female art on stage. Q: Would you describe yourself as a feminist because you study women? AA: I do not see myself as a “feminist.” I am not into advocacy or championing women’s rights. each other, so there is no power struggle between men and women, each compliments the other. Everybody plays his or her role to make life a complete whole. The relationship between the genders is reciprocal. My aim is to present a deprived (mostly confined to its original contexts) but multifaceted, rich, beautiful, and complex musical practice onto the global stage for readers, ethnomusicologists, anthropologists, women and gender scholars to know and respect historical brain-work and legacy. My name is Orelia Jonathan, I am a senior from Williamstown, MA. I am double majoring in History and African American Studies with a Middle Eastern studies certificate. I am also writing a senior thesis on the history of war, education, and politics in South Sudan. On campus I am on the History Majors Committee, the Track Team and I’m in Rho Epsilon Pi. I’ve also worked for the Wesleyan Press. You are a Brodigan award winner this year. What will you do with the grant? Orelia Jonathan: My sister [Geneva Jonathan ’16] and I are doing a two tiered project, actually a three tiered project with some fellow students from the University of Vermont. We are going to Badgji in South Sudan to build a women’s community center and a maternity clinic. Maternal care right now in South Sudan is in dire need of help. The closest hospital to in Badgji for women in labor is roughly 75 miles away which is a 6-8 hour drive. Too often for women who experience complications or lack transportation. While there are other health care facilities nearby, these too, are quite far from Badgji. Women are giving birth in terrible conditions. We have been working with our contacts in South Sudan to put this and few other projects targeting women together. This summer we will be breaking ground for the center and maternity space. We are also starting a series of talks on mental health awareness. South Sudan has been stuck in war off and on for 50 years and there are still outbreaks of conflict. In the region there is now public talk about mental health needs for men, especially soldiers. The message is that they are the ones most in need of mental health care. We want to focus on the large numbers of women who are depressed or have not come to terms with the fact that they may also be suffering from trauma. Our conversations will help raise awareness on this issue for women. Right now if someone is feeling sick or not feeling well, or depressed it is taboo. Mental health is not really seen as a physical problem. Our partners from the University of Vermont will also be working on discussions dealing with sexual violence. One of the cool things about the project is that we’ve collaborated on the center, which will really be the result of 3 years of work. The first year I went, I remember being overwhelmed. People in Badgji were asking me what I could do to help when I really felt that I did not know what was possible. Since then, the community has been really excited and helpful. We are just really trying to get the community energized because we believe that this project and this work must continue within the community. It cannot rely on us coming in for a month or two and creating this building and then leaving. We really want to build the structure of this community center around this community and not ourselves. Q: Could you tell me about your earlier experience as an intern in South Sudan? OJ: My sophomore summer I started an internship with the embassy of South Sudan. I worked in Juba (South Sudan) and Washington D.C. for 2 months, and it was a great experience. It was the first time that I had been to South Sudan, and it was very eye opening. In the end, I found that I did not want to work in the new government because it appeared so corrupt. I worked with a lot of nice people, but the corruption and lack of transparency about where the funding was going was so evident to me. Even when asking questions and talking to officials, they very blatantly avoided my questions. Every summer since, I have gone back to South Sudan because I have family here. I have really strong ties to the country, but hope to begin visiting other countries in East Africa. For now, I feel a need to return to South Sudan. I fear if I went somewhere else I’d lose my connection and would not be true to the people that need my help the most. My work in the country also sparked an interest in international aid organizations, yet at the same time I see a lot of problems with how international aid organizations are working in South Sudan. My specific interest for future work is in education, maybe working with UNEFSCO. It is a United Nations initiative for education policies with a special focus in African countries. I’m really interested in education policy and trying to change it. It’s something I dream of doing. My name is Ibironke Otusile. I am a graduating senior (’15) with a double major in Molecular Biochemistry, Biochemistry and Dance. I am originally from New York City and came to Wesleyan as a Quest Scholar. 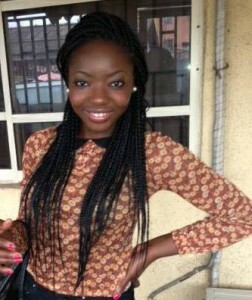 On campus I am involved in the African Student Association and have been its Vice President. I am also a co-founder and the current director of SUYA, the African dance troupe on campus. In addition, I served as a teaching assistant for the West African dance classes. Finally, I am a Residential Advisor, R.A. in Butterfield A.
Q: You received a Brodigan award this year, what project will you carry out this summer with the grant? Ibironke Otusile: Basically what I’m trying to do is help improve water sanitation. I have not been to Lagos (Nigeria) in four years, but I remember water in the city was very dirty. In Lagos there is something sold called “pure water.” It is water in sachets [small plastic bags], but that water is not pure; it is really unhealthy and unclean. Lagosians are in need of sanitation, not just for water, for everything. My original plan was to work with the Lagos State Environmental Protection Agency, which deals with pollution – noise pollution, air pollution, all kinds of pollution. However, I decided I wanted to work on water because its state in the city is really poor. There is a water slum, Makoko, where houses are built on stilts atop the Lagos lagoon. What I want to do is go to the field with the [government] researchers and see what the exact problems are, like what are the causes of the water pollution; then go to the lab with them and see what the contaminants are that they find in the water. I want to use that data to make lesson plans for students about the importance of water sanitation. I also hope to help build a water tank on top of the school [in Makoko] to provide access to clean water. Q: What was your reason for choosing your majors (MB&B and Dance), and are you happy with your choices? IO: I chose MB&B, which is Molecular Biology & Biochemistry because it made the most sense to me as preparation for a medical career–also the classes (especially the advanced ones) are interesting. I did not want to just take biology or neurology. I’ve been doing biochemistry since high school, it was my major in high school. So continuing with it and learning the science more in depth was very appealing to me. I will not say it was easy; in fact it was very difficult. I felt isolated, but I do appreciate what I was able to learn. I think it’s very surprising that I am the only black female graduating as a MBMB major. I chose my dance major because of [my friend] Naadu. The spring semester of my freshman year I was taking West African Dance 3, which my other friend Oladoyin Oladapo ’15 convinced me to take. She said it would be easy, she lied [Laughs]. I took the class and it was a lot of fun. Naadu Bentsi-Enchill ’12 was the T.A. at the time and she invited us to spring thesis concert. I watched her perform, and it was just beautiful. Her performance, in particular, stood out to me the most. I don’t know if it was because I came to the show because of her, or her performance just held meaning for me. I really enjoyed the concert, and thought I want to do something like this as my second major. Q: What inspired your thesis? I am very interested in trying to mesh the sciences with the arts because I think it’s very possible, although unconventional – which I don’t think is even true at all. My project was not only year-long, it was a major long project. I started it my sophomore year with the piece “Silent Silhouettes: the ReDEAFinition of Movement” asking the question of how do deaf people dance? Then I expanded the idea to physical disabilities, mainly blindness and deafness. I wanted to basically figure out, how is it that blind and deaf dancers are able to do what they do? I learned a lot, and during my performance I ended up blindfolding and ear plugging myself. It was very difficult, but it worked. 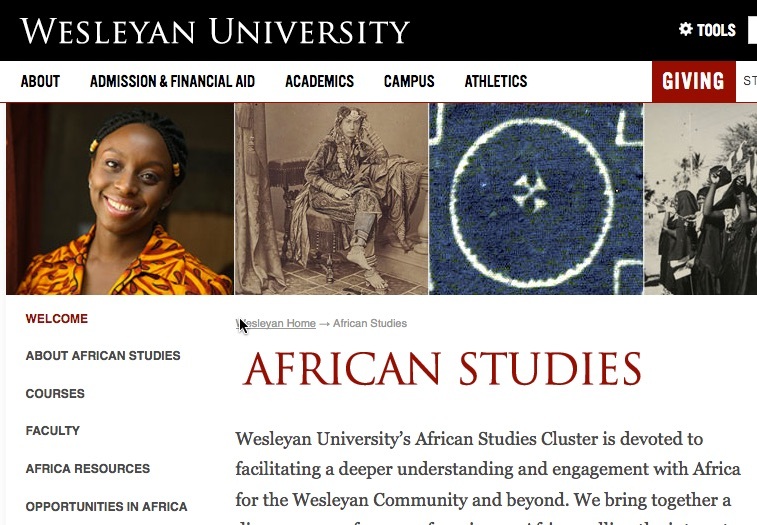 Q: What do you think of the African Studies Cluster here at Wesleyan? IO: I’m very pleased with what the African Studies Cluster has done this semester alone (spring 2015). This semester I really saw a presence, especially with the conference. It definitely has the potential to grow into a major because there is interest from the student side and from the professors. I really have hope for it, and wish that when I do come back we have an Africana or African Studies major. Olayinka M Lawal is currently a senior at Wesleyan University and co-founder of JóòMah, which is professional networking platform similar to LinkedIn, except it’s currently launched in Accra Ghana. She is also a senior interviewer and one of the senior class treasurers. With a major in Sociology and an International relations certificate she is committed to being an African Development Advocate and she does this by being president of the African Student Association (ASA). Q: Could you introduce yourself and tell me what you do in regards to African Studies at Wesleyan? 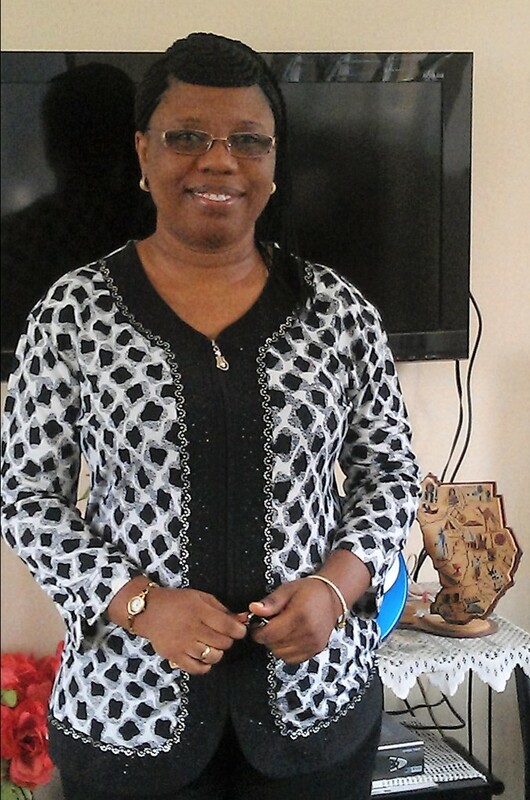 Olayinka M Lawal: I am a senior right now! I’m a Sociology major and pursuing an International relations certificate. My interest in international relations really developed from my really strong passion about Africa and African Studies. Since Wesleyan didn’t have African studies as a major, I had to look for a different avenue to kind of get some of what I’d like to learn in the international relations certificate curriculum. 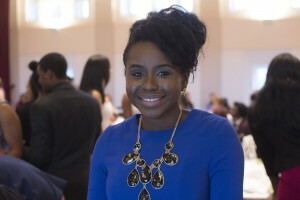 I am president of the African Student Association, I am a senior interviewer this year, and the senior class treasurer. Q: As the president of the African Student Association what do you plan to do with the group and what are you guys working on now? OL: Usually ASA has a number of events we like to do each year; some of them include attending conferences, business conferences on development and about the continent (Africa) in general. This semester specifically we are actually hosting our own summit. It’s the first one ever at Wesleyan! The African innovation summit is set to be held November 7 this year. So it’s coming very soon and the idea really came from wanting to increase the kind of conversation about the African continent that happens on campus. We realize that while there are some discussions, that you know discuss where Africa is today and we really want it to be a part of this. We want to encourage the discussion of the continent at Wesleyan in general that there is no major for the study and it’s something that we find to be very important at least to encourage a potential need for that in the near future. In addition to that we have Ariya, a cultural show that happens every year. So that is going to be packaged in the same week as the summit. So there’s a conference Friday and a cultural show on Saturday. That will be held November 8. The cultural show is a general celebration of different culture of the African continent. We don’t represent all of Africa, but we have a good diversity of students who are represented in different countries from the continent. It is a way to just celebrate what we have on campus and I guess to invite the Wesleyan campus to be a part of that celebration. Apart from that we, ASA, like to keep ASA an organization or club for the Wesleyan community as much as it is for the actual members of the group, so we like to do things that help us to bond and have conversations. So we have our weekly meetings that happen, where we talk about our agendas for the semester, but we talk about how Africa is portrayed in the media and how personal that may be for us, we reminisce for those of us who are international students, we reminisce on how like and what life is like in Africa today, what our parents use to make us do, you know just regular conversations that wouldn’t happen outside of ASA or outside of those member groups that happen in those meetings. We also have potlucks, which is just another way to contribute to our sense unity and just community, in general for the club. We every now and then have seen movies from the different, particularly the Nollywood because it’s the largest film industry in Africa, from the Nollywood chapter. We read articles, the Public relations person sends out articles to the collective, and on Saturday we come and talk about them. Those articles are usually political and about what’s happening in the continent or in certain countries or fashion. The articles are just stagnant on one topic. That’s just a bulk of what we do. We also sponsor certain events. Very recently we have advertised about the Ebola conversation that is happening in American and certain parts of the continent of Africa. That’s a gist of what we do. Q: What do you think is a reputable source about news in Africa? Journalism, business, and other industries? OL: That’s a good question. I think that given that we are in America, a western country that advocates its own intentions and wishes, there are very few outlets or resources that adhere to the African continent in a positive way or at least in a way that reflects a very holistic version of the truth rather than the negative portrayals of what exist on the Continent. Because I will say this: there are definitely bad things that shouldn’t be happening that are happening on the continent, but there are just as many good things if not more, but those are not usually mentioned in the media as should be. There is an organization called Face to Face and they are located in New York and they have a web page and I think a Facebook page and they usually outsource news that we usually wouldn’t hear about otherwise on CNN or BBC. They outsource those on their Facebook pages and on their website that which I think is a form of reputable source. I can’t think of many others and that’s part of the problem; it’s part of the limitations on educating the westerners of a true portrayal of Africa. That’s the only one I can think of right now; and that just speaks to how few that exists. Q: What are your experiences in the African Studies cluster class and what are the different options that students should know about? OL: I am very glad the African cluster exists because if it didn’t that goes to show what would be left of an idea of African studies at Wesleyan. But I definitely know there is room to grow in terms of the kinds of class options that there are within the different departments that exist at Wesleyan already. My past experiences I’ve taken History of Southern Africa, Africa and World Politics, I am taking Modern Africa, I’ve taken level 1 and 3 of West African dances, and there are some that don’t necessarily label themselves as an African studies course, but in grain Africa into the curriculum: one of those that I’m currently taking right now called Economics of Developing Countries. And so for students who are interested in African studies at Wesleyan and don’t see that there are a lot of options in terms of what the African cluster offers it’s likely because the cluster did n to kind of research the course itself, the course description, research the professor and see what his or her main focus is or could be, and that will help you know whether or not there are some things that would fit what your interest are. I’ve also taken Writing About Places: Africa, a class taught by Alice Hadler. She is going to be teaching it next semester, so if anyone is interested in African literature that’s something you should take. So there aren’t a great number, but there are good numbers of choices to choose from. Q: Could you tell me about your projects outside of Wesleyan? OL: Definitely! As it relates to the continent I am co-founder of JóòMah, which is an online platform that really is seeking to improve employment in sub-Saharan Africa. The company developed out of this realization the process of sub-Saharan African is very slow and not efficient. HR departments just kind of post positions somewhere and people just send an email of their resumes. And imagine how many people apply for one position, let alone how easy it would be for a department to go through who their most qualified candidate would be. So what JóòMah does is matching the perfect candidates with the perfect jobs and so what the idea behind that is that a company would sign up with JóòMah and post up a job position, list the kinds of qualifications, experience, education, and background that they are looking for. In the same way job seekers post their profiles and update them with their academic experience, their skills, and what their interest are. And once JóòMah realizes that person’s skill and they qualify for that certain job to the job seeker, they are encouraged to apply. After the company or employers see their profile and JóòMah ranks the candidates according to who is most qualified. In this way there is no longer a matter of someone who is experienced in driving applying for like an accountant position. Now the qualifications are specific, the skills are specific, and it’s easier for the HR(Human resources) department. We’ve recently launched in Accra, Ghana and we’ve signed up some companies and we’re looking to move forward. We are looking to move beyond Ghana to other countries in sub-Saharan Africa and Angola.